The 2016 event will be held in the Old Market Square, Dartmouth on 13 December 2016. This is arguably Dartmouth’s oldest and longest running truly local event. It has a date firmly footed in the calendar and ALWAYS falls on the 2nd Tuesday in December – which this year is 13th December. It’s an important date for local farmers who come to town to show off their stock which is fat (hence the name ‘fatstock’) and ready for market. In recent years other local fatstock shows (eg Plympton, Totnes and Kingsbridge) have changed their name to ‘Prime’ or ‘Christmas’ show but Dartmouth still holds with tradition. The event has taken place since the early 20th century (the current minutes book dates back to a meeting held in the Commerical Hotel, Dartmouth in September 1951). The event lapsed during the war but was keenly revived in the 1940s. Not much has altered over the years despite the changes in the rural community and economy and the current show secretary, Mr Pedrick, assures me the event is still as popular as ever and continues to draw the crowds with the next generation of farmers out in force. Most of the changes are due to licensing and animal movement restrictions enforced following the Foot and Mouth and the ongoing TB crises. This has led to the disappearance of the pig class but the sheep classes still have as many entries as 20 years ago and 2015 saw the most cattle entered for over 20 years. The event is a reminder that we live in a strongly, rural community. Not only is it very local but it’s also a real family and community affair. Generations of farmers and their families have been involved. Lionel Bond is the Show’s Chairman and has been involved since his school days in the 1950s with his grandparents involved in the 1930s. The current secretary, Michael Pedrick, has been in situ since 1998 having taken over from his father (who used to farm in Dittisham) who held the post for a mere 40 years from 1957. Other members of the committee are made up of people from the farming community whilst the President is traditionally a local businessman – a role currently held by Nigel Way. The event is also a keen supporter of local charities with donations given each year to organisations such as Devon Air Ambulance and the Hospital League of Friends. On the day of the show Dartmouth’s market square transforms – the straw is laid, the clean white coats are unfolded and the familiar smell and sounds of farm animals appear. The judging starts early with classes for cattle, sheep and dressed poultry and the farmers battle it out for the badges of Champion and Reserve Champion. 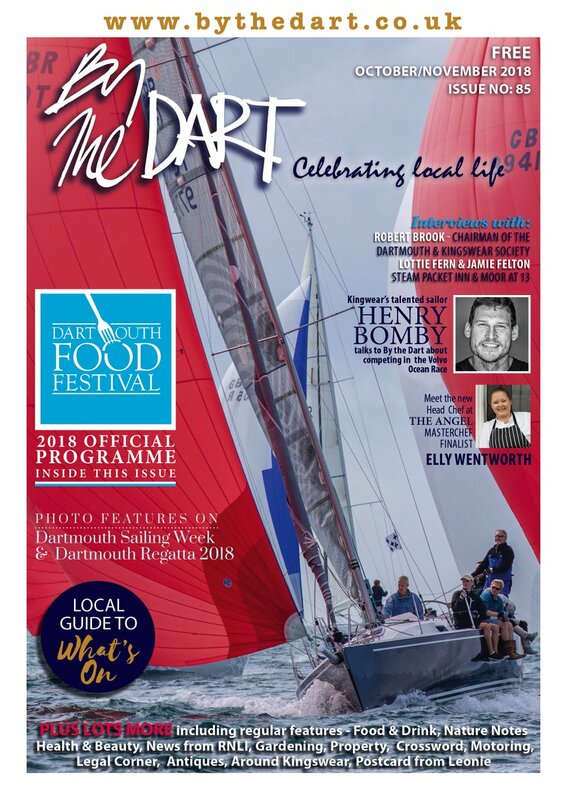 The ‘local’ classes include all those farming in the Dartmouth parishes (including Blackawton, Capton, Dittisham) with open classes receiving entries from farms as far as Plympton and Newton Abbot. After the distribution of prizes the auction begins at about 2pm. Bullocks and sheep are offered for sale and traditionally bought by local restaurants and butchers. Dartmouth Fatstock Show is unique locally with its impressive dresssed poultry class with over 100 birds displayed last year. I’m reliably informed by Mr Bond that the class was introduced historically ‘to bring the ladies in’ whilst the menfolk were showing their cattle and sheep. And it is without doubt the perfect place to pick up the best quality Christmas bird. A regular at the show is Dartmouth’s own Jilly Rowdon. She has attended the local fatstock shows since she was 10 and the rosettes and sashes pinned to her shop window are testament to her success. 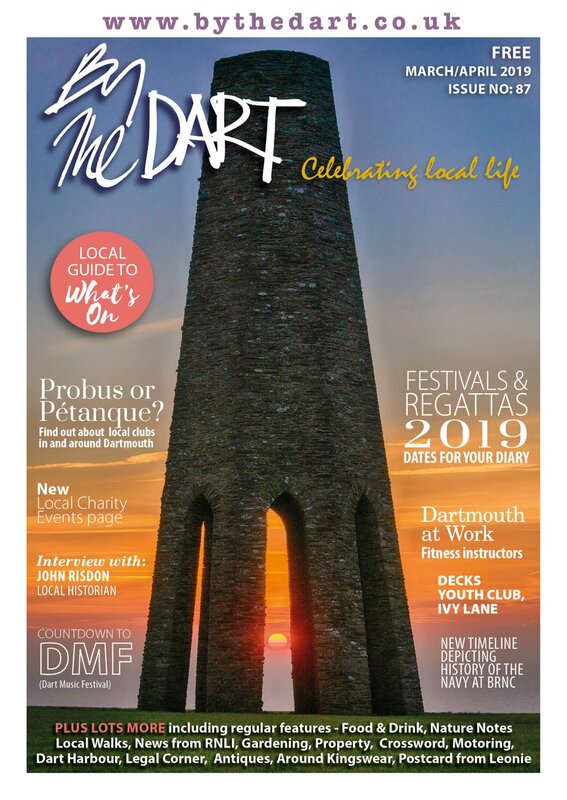 But Dartmouth is without doubt her favourite and in her opinion the best with its unique atmosphere and location in the centre of town. She’s had a few years off over the years but she’ll be back this year with her Texel Charolais sheep. 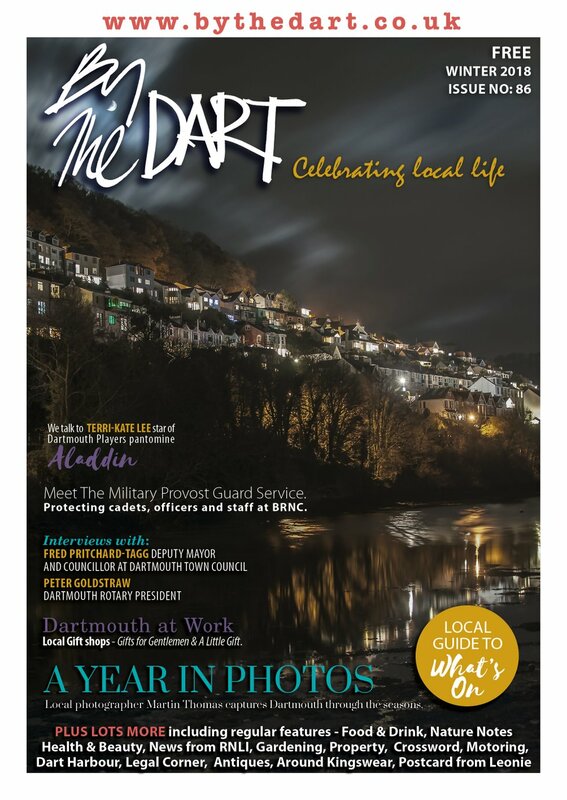 So if you want to see a unique part of Dartmouth community and history pop into the market on the 13th December and admire the neatly clipped sheep and beautiful South Devon cows (my personal favourite). It’s a unique opportunity to feel a sense of pride in our local families, farmers and produce and no better way of buying local. For further information on the Dartmouth Fatstock Show contact Michael Pedrick, Tel: 01803 863888.